Shakespeare’s delightful pastoral comedy – previously presented by Guildburys at Farnham Castle in 1998 – is an intoxicating mix of romance, innocence, optimism and redemption. Infused with music and song, and containing one of the most famous speeches he ever wrote, it is a charming and uplifting celebration of the triumph of goodness over wrongdoing. Concluding with no fewer than four weddings, it blazons Shakespeare’s belief in the importance of marriage as the basis of a stable relationship. And, in the silver-tongued character of Rosalind, he gives us one of his best-loved and most emotionally complex heroines. 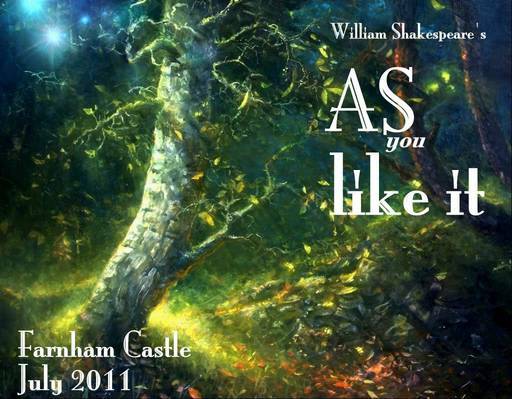 Guildburys’ production of this timeless play will have a 1920s theme and, with its largely sylvan setting, As You Like It is ideally suited to the beautiful outdoor surroundings of the Castle. A date not to be missed in your summer calendar!